As today is officially the start of Autumn I thought I'd share my favourite Autumn lip colours because we all love a berry lip, right?! I tried to throw in at least one high street lip colour but it turns out I don't really own any. Seems I need to hit the high street and pick up some cheaper alternatives so if you have any recommendations, please let me know. Glo & Ray Tender is the cheapest lipstick of the bunch retailing at £12. Tender is from their La Amo Creamy Shimmer range which has just been repackaged in time for Autumn in sleek, red packaging. Tender applies smoothly to the lip leaving a moisturised slick of colour which goes perfectly with a bronzed make up look. 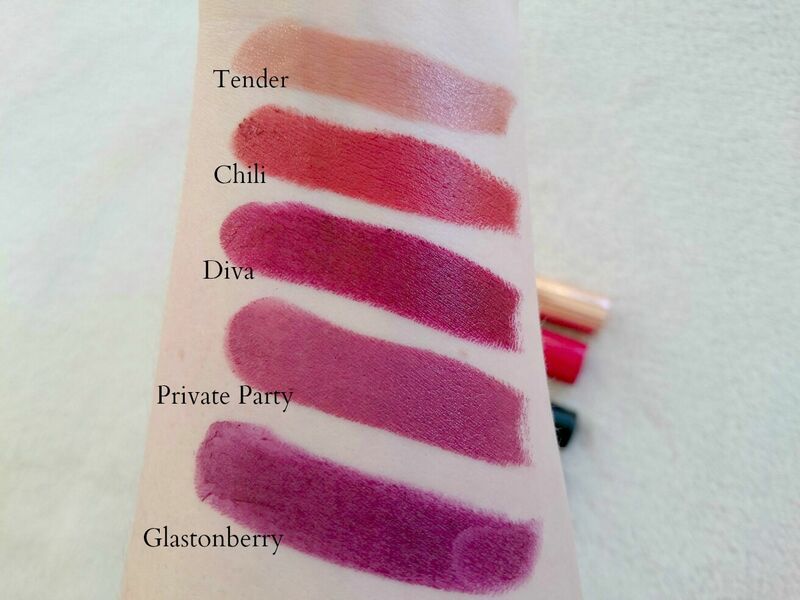 I had to throw Charlotte Tilbury Glastonberry in because it really is a beautiful shade, I'm just not a fan of the so called revolutionary matte formula which I don't find to be very matte at all. Because I love the shade, I put up with it's rubbish wear time and tend to mix it with Lipcote and a bit of powder for extra wear time because it's berryness really is something special. Obviously MAC is making an appearance, with three matte shades in my favourites that can be worn day or night. Private Party is limited edition and not available anymore but it's my favourite Autumn shade. EVER. The day I run out of this will be a very sad day. Diva needs no introduction, it's one of their best known shades and rightly so, it's beautiful. Dark, seductive and the quickest way to vamp up any make up look. Chili is a dark, brownish red and the one I opt for in the colder months. Paired with Mac Brick lip liner, it gives a dulled down pop of red, perfect for when you want to go red but a little darker. 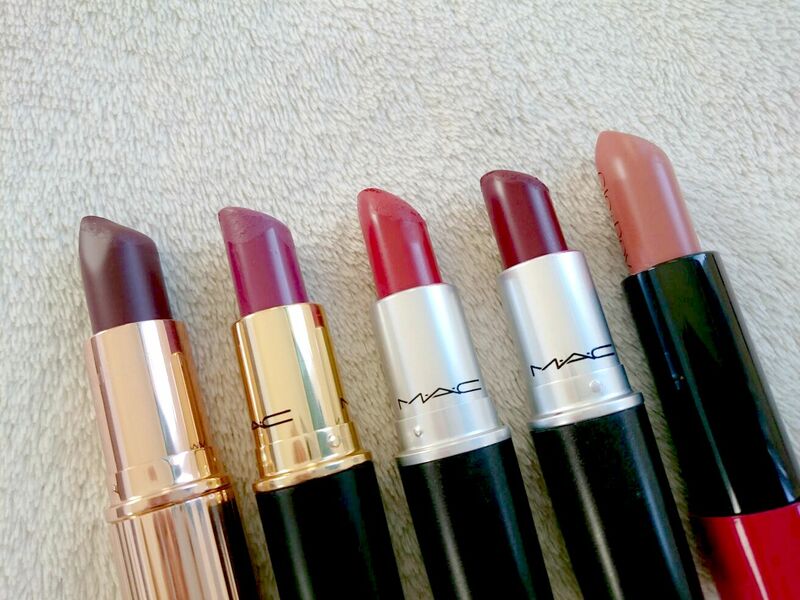 What are your go to Autumn lip shades? Oh gosh. CT never fails to disappoint! 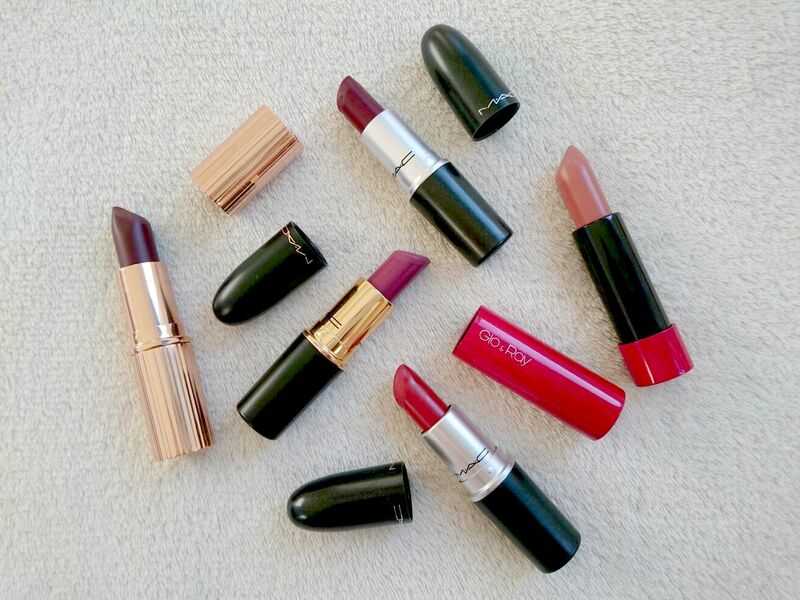 Beautiful lipstick colours, love the look of Glastonberry so see why you put up with it!! Chilli is definitely the face out of these, it's such a gorgeous red shade! I loooove Glastonberry, perfect Autumn shade! Diva is such a pretty shade! I recently picked up MAC Rebel and am obsessed with it!